Choosing a shampoo from the supermarket is maddening, isn’t it?! There are so many products and varieties to choose from. Where do you begin? And how do you narrow it down to something that suits you? If you are like me who prefers ayurvedic shampoos, even then it doesn’t get any easier. The market has many ayurvedic products and choosing an authentic ayurvedic shampoo becomes an issue. But you need not fret about it because we got it covered for you. So, what you are you waiting for? Dig in and make your shampoo shopping a breeze next time. 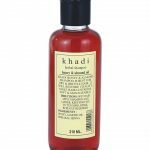 Khadi Natural Neem and Aloevera Herbal Shampoo is a product made under the supervision of expert Ayurvedic doctors with ingredients picked from organically grown plant sources. The active ingredients—neem and aloe vera—work on your dandruff and relieve a flaky scalp. The shampoo removes dead cells and cleanses your scalp thoroughly. It even repairs damaged hair. 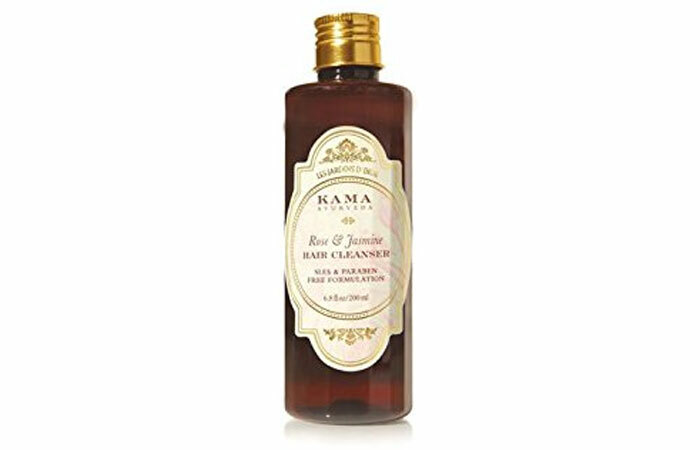 Kama Ayurveda rose, and jasmine hair cleanser is a safe and gentle hair treatment rooted in the ancient science of Ayurveda. The product is natural and free of harmful additives. 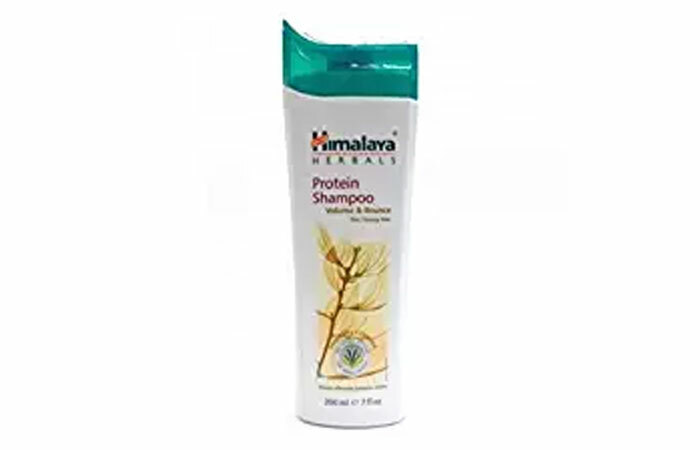 The product is a mild hair cleanser that strengthens weak and damaged hair with soy protein that locks moisture in the hair and increases the strength and elasticity of the hair. The cleanser reduces hair loss and promotes hair growth. Forest Essentials Hair Cleanser bhringraj and shikakai bring together the best of ancient wisdom and modern technology. It is a hair therapy that controls hair thinning and breakage. The cleanser also eradicates dandruff and promotes new hair growth. Through extensive research, the product brings back the ancient rituals of hair care prepared with fresh, seasonal ingredients and rare herbal infusions. 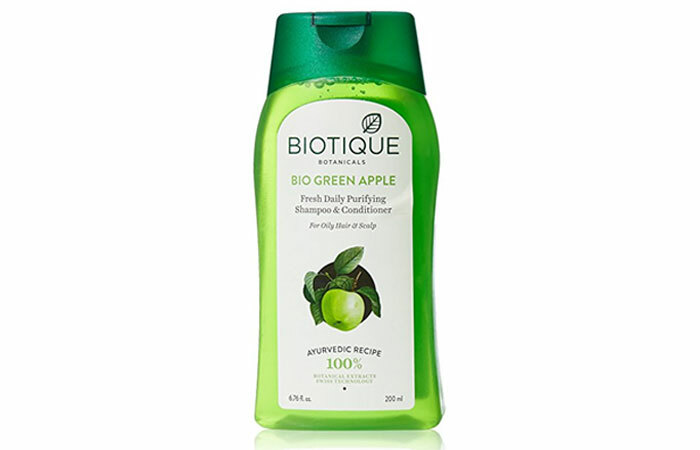 Biotique Bio Green Apple shampoo is a daily shampoo that cleans and conditions your oily hair and scalp. The shampoo works towards eliminating the problem while nourishing your hair. The shampoo is made with green apple extract and contains natural minerals and proteins. You can use the shampoo every day. It cleanses your hair thoroughly and keeps it refreshed and shining. Himalaya Herbals Softness And Shine Protein Shampoo is rich in natural protein that makes your hair soft and shiny. The product is a combination of the best of Ayurveda and advanced pharmacy. The shampoo works in two ways—cleanses and conditions your hair. It keeps your hair healthy, radiant and lustrous. It contains beansprout which in particular is a rich source of protein fulfilling the daily protein needs of your hair. Shahnaz Husain Dry Shampoo Hibiscus is a product of genuine herbal and Ayurvedic infusions from the house of the herbal goddess, Shahnaz Husain. The product is a dry shampoo and does not require the use of water. A few sprays over your hair followed by combing off the residue is enough to clean your hair and get you ready to go outdoors. 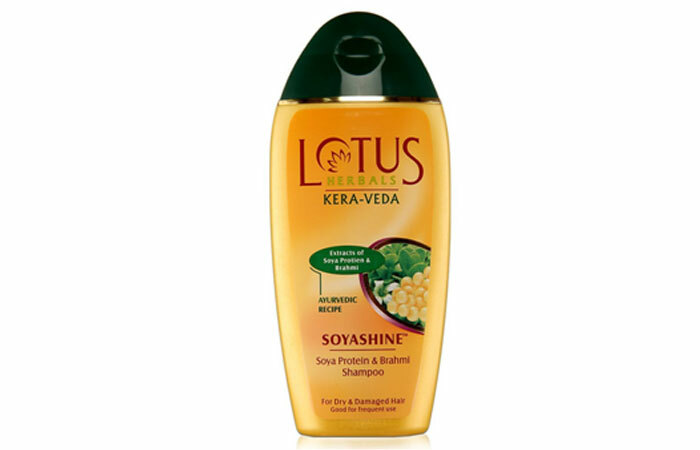 Lotus Herbals Kera-Veda Soyashine Soya Protein and Brahmi Shampoo combines ancient Vedic wisdom and 21st-century technology to make your hair strong and full. The product is cream-like and rich in soy extracts. It detangles your hair and makes it soft and luscious. 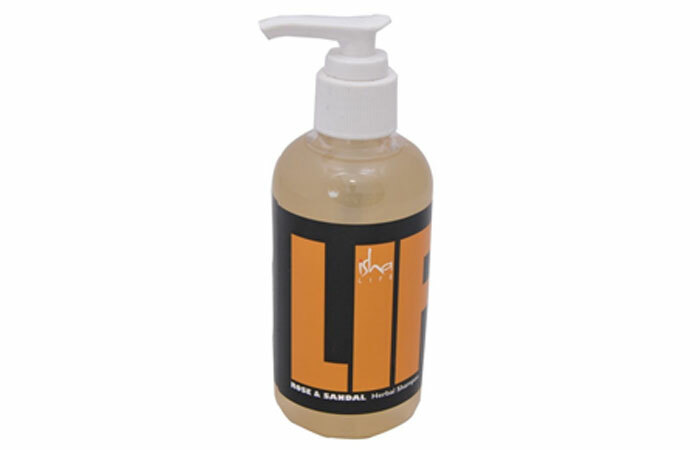 The shampoo brings life back to thin and lifeless hair adding bounce and shine to it. 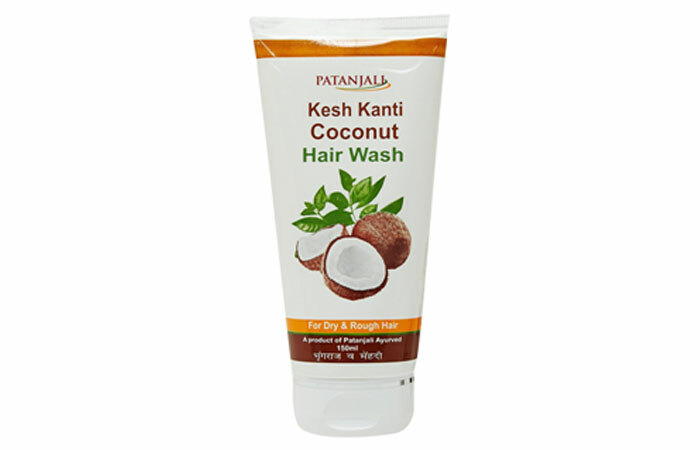 Patanjali Coconut Hair Wash is made with coconut oil that works great on dry and rough hair. It makes your hair soft, silky and shiny. The product works two ways—shampoo and conditioner—although it doesn’t claim to. 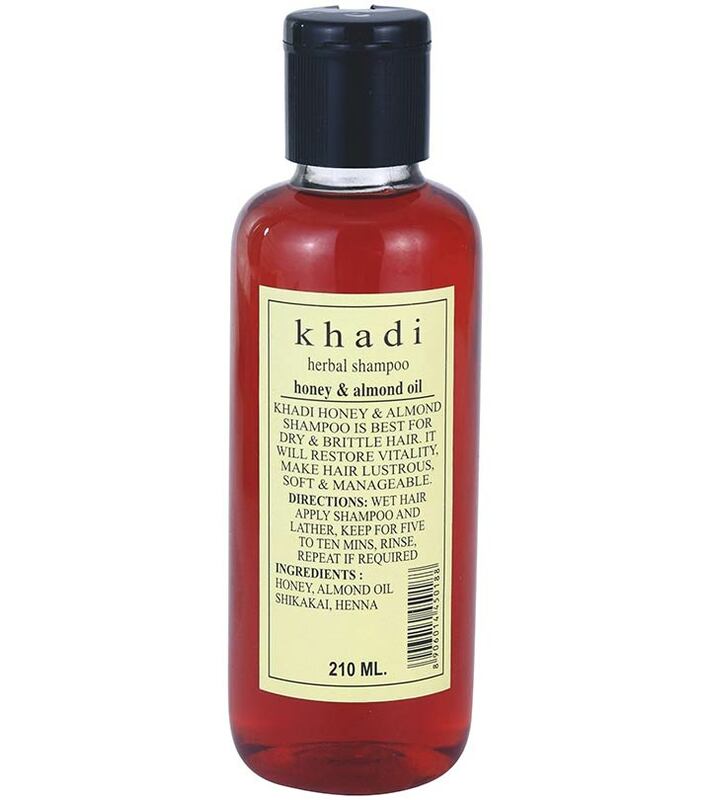 It is travel-friendly and keeps your hair soft after a wash even if you don’t precede it with an oil massage. A lot of product is needed to wash oiled hair. 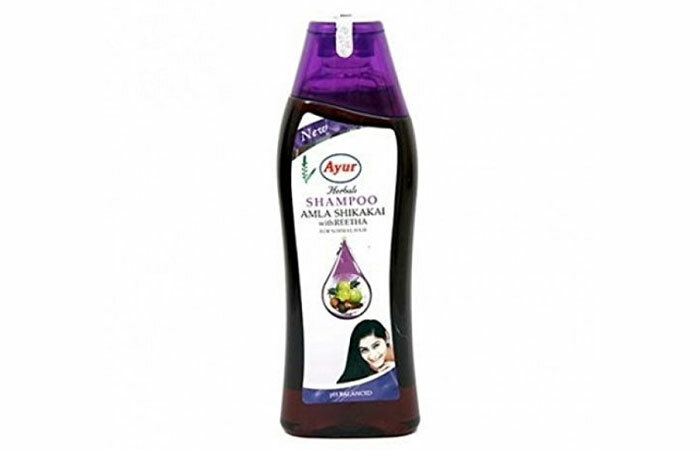 Ayur Herbals Amla Shikakai With Reetha Shampoo is your go-to shampoo for healthy and lustrous hair. It lathers your hair thoroughly and cleans it entirely. The best part is that it does not strip your hair of natural oils and retains your hair’s natural beauty and look. Also, it fights dandruff, hair fall, and graying of hair. Isha Life Rose and Sandal Herbal Shampoo is an aromatic and soothing shampoo that will calm down your senses and intoxicate you. It contains rose extracts and sandalwood that relieves stress and cures your hair of diseases and dullness. Regular use of the product keeps your hair in the best of health. Now, let’s answer some common queries about ayurvedic shampoos. Are Ayurvedic shampoos completely natural? No, all of them are not. 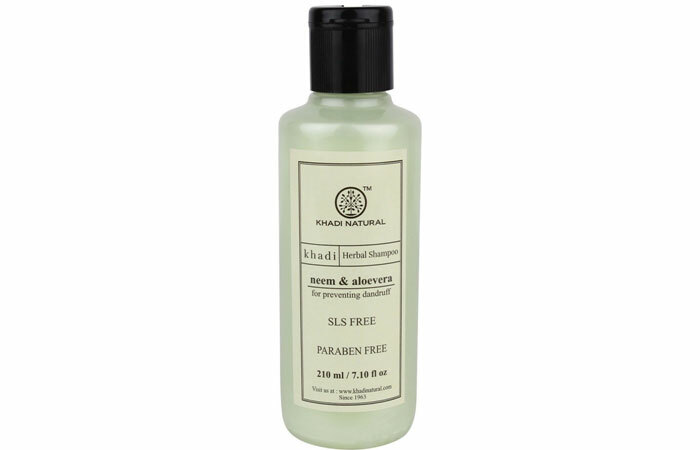 Some ayurvedic shampoos do contain certain chemicals but not harm-causing ones like parabens, SLS and SLES. 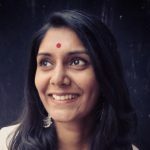 How often can I use ayurvedic shampoos? It depends on the product you are using. If it is a mild shampoo, then you can use it daily or 2-3 times week will do. So, that’s it, friend. That’s all you need to pick the right ayurvedic shampoo and use it to feel the goodness of age-old hair rituals and sway your hair in all its regal beauty. We chose the best for you because you deserve no less. Here’s to happy and healthy shampooing. Do tell us which one you picked and liked the most. Ayurvedic products rule the market now like never before! Walk into any supermarket and it won’t come as a shocker to see an aisle dedicated to herbal products only. Using the right shampoo is very important for hair care. And herbal is the best way to go. Here is a list of the best Ayur shampoos in the market.